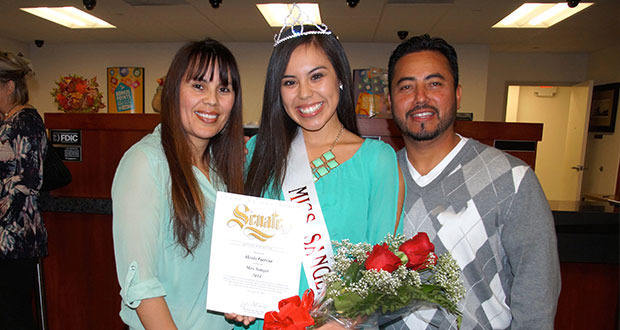 By Cheryl Senn The coronation for Miss Sanger 2014 took place at the recent Sanger Chamber of Commerce ‘Business After Hours Mixer’ at WestAmerica Bank, with Alexis Garcia being crowned. 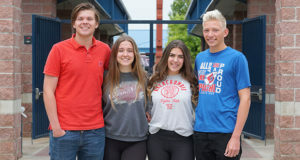 Garcia is a Sanger High senior who was crowned the Sanger High 2014 Homecoming Queen, earlier this fall. 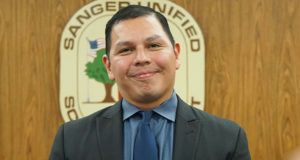 Garcia was born and raised in Sanger….